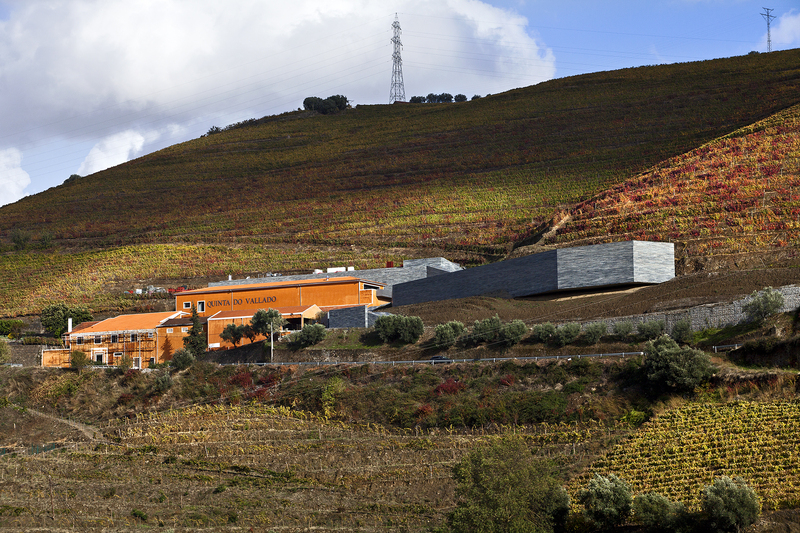 The proposed expansion of the winery at Quinta do Vallado reconciles the need for the expansion of the existing winery with proper integration into natural landscape. 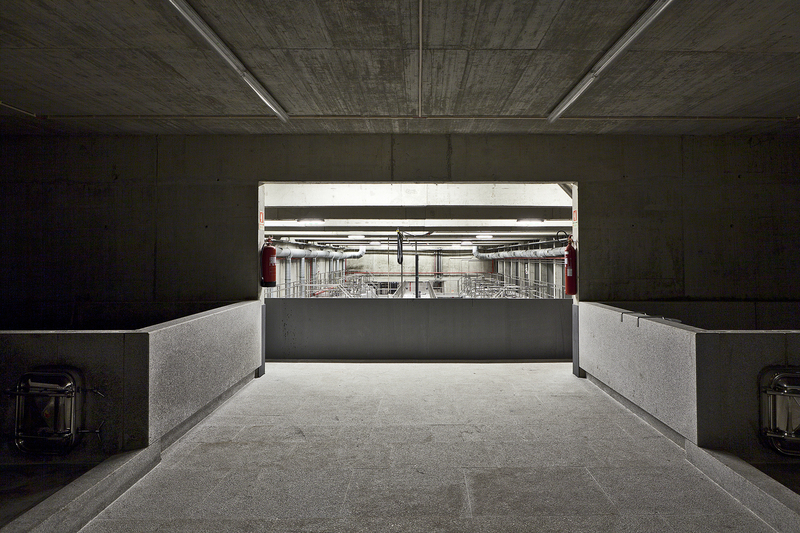 The intervention provides for the maintenance of the existing buildings, complemented by there structuring necessary for the construction of new buildings: a warehouse for barrels and a new reception. 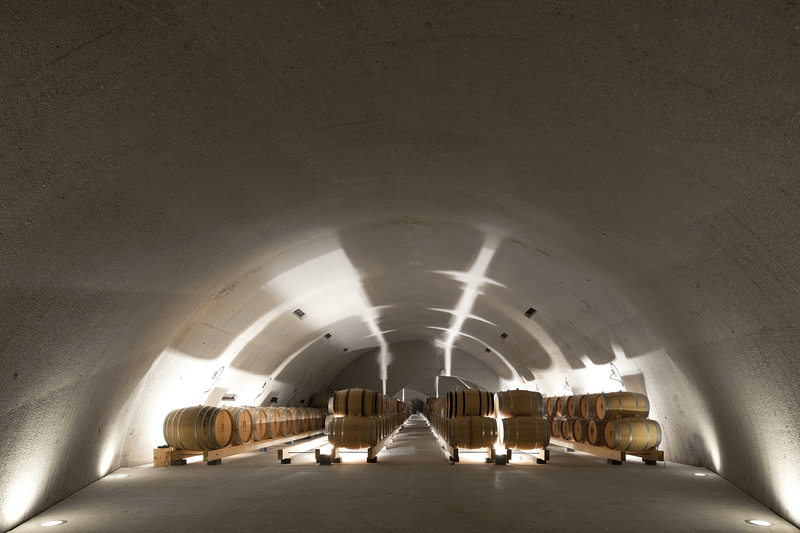 The modification of a winery that operates by gravity requires the understanding of the entire production system and a great rigour, discipline and restraint in the implementation of the heights of the buildings. 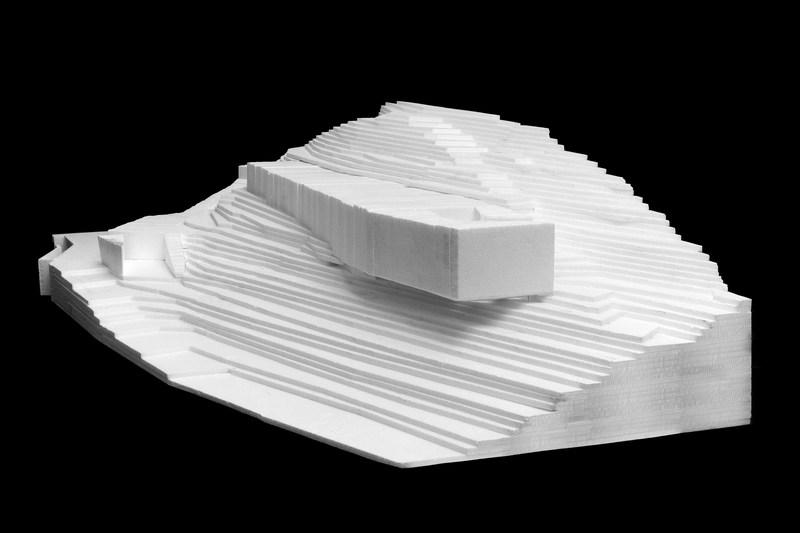 The new volumes create a relationship of tension and balance between buildings and topography,integrating themselves into the land while continuing to affirm their artificial nature. 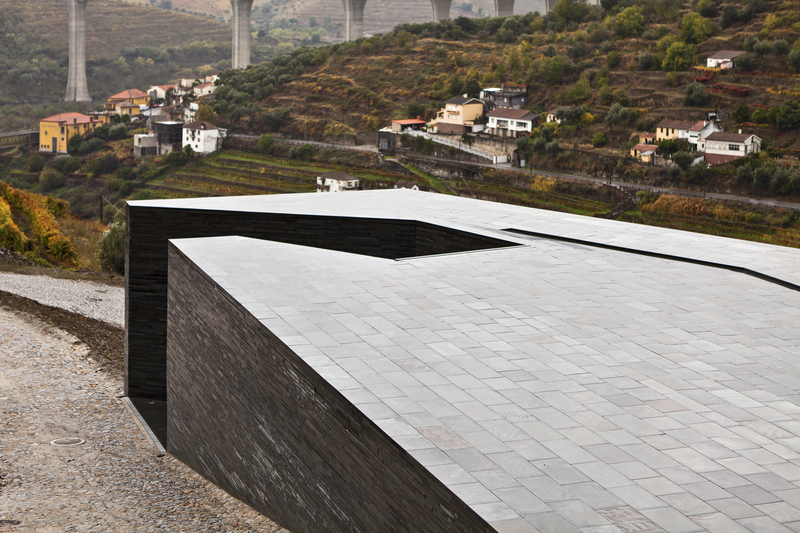 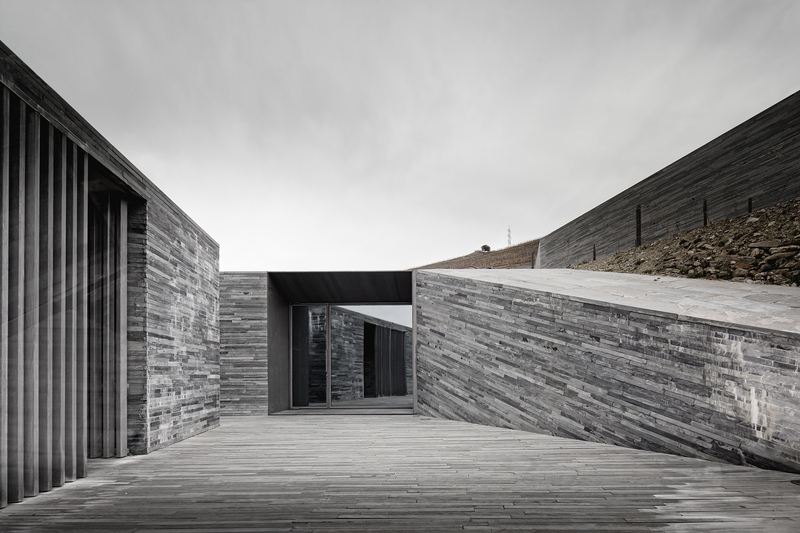 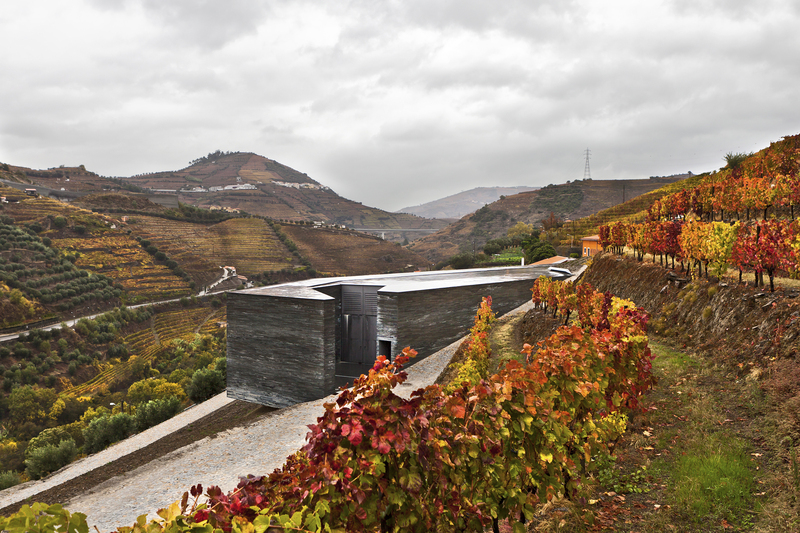 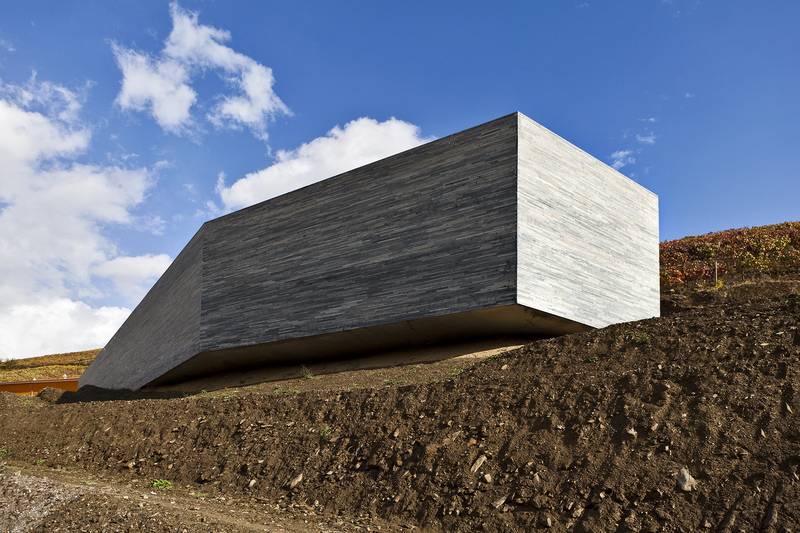 The barrel ware house is, simultaneously, autonomous and interacting with the landscape, based on the topography of the terraces of Douro. 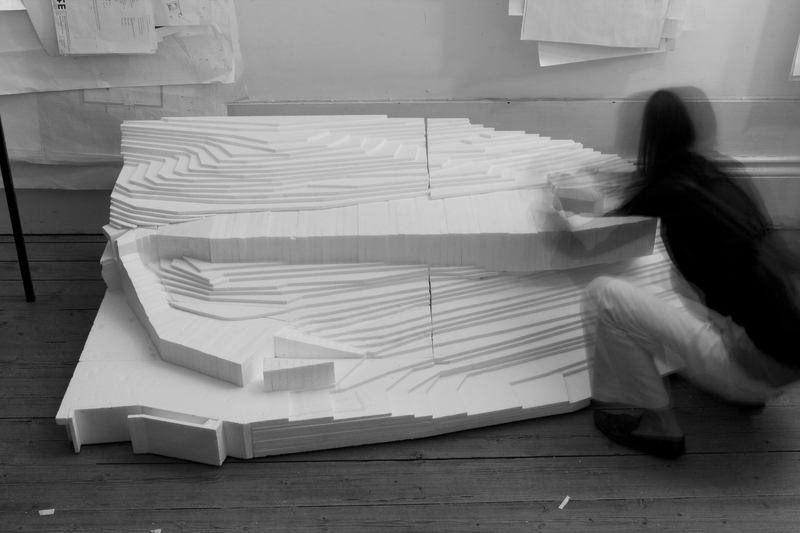 A large landmass embedded in the land terminates the projection. 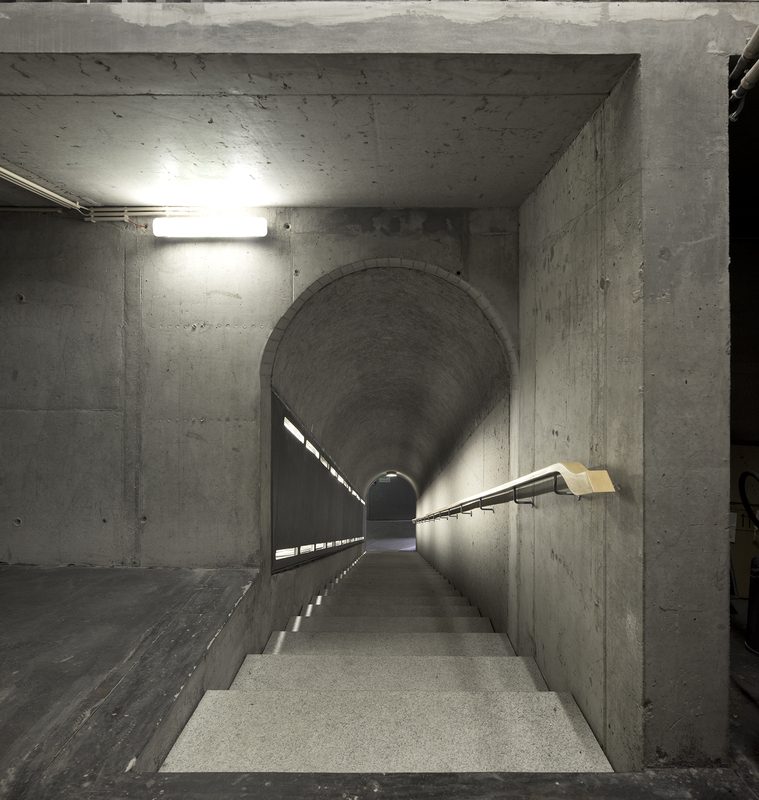 In this way the building either clings to the ground, becoming rock and physical barrier, or is released, allowing it to be pierced. 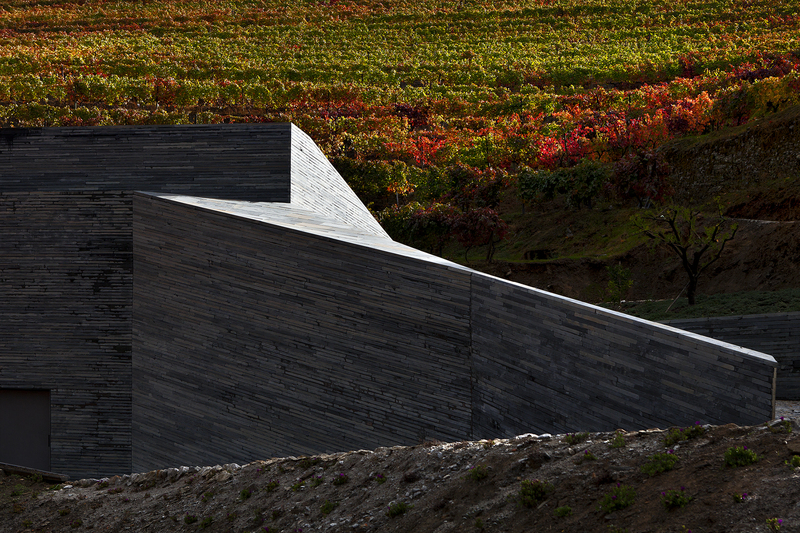 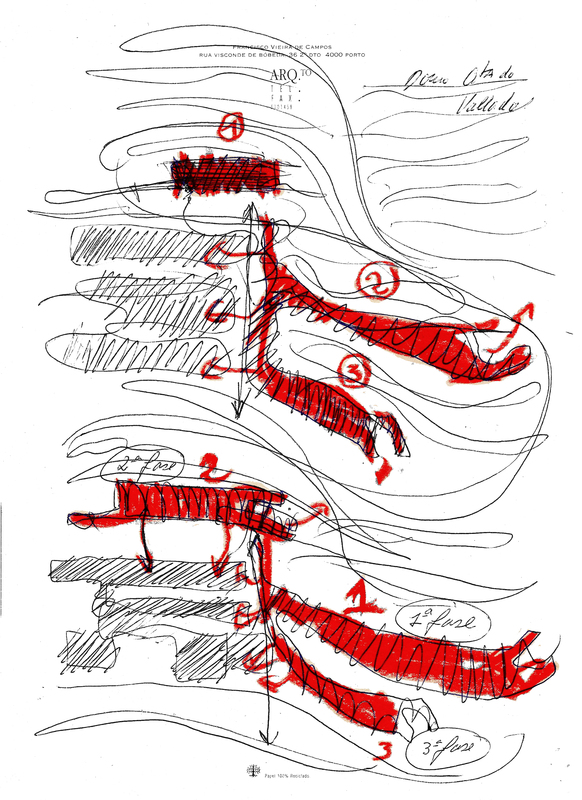 The design reconciles the structure and facilities in the conception of an ancestral vaulted shape. 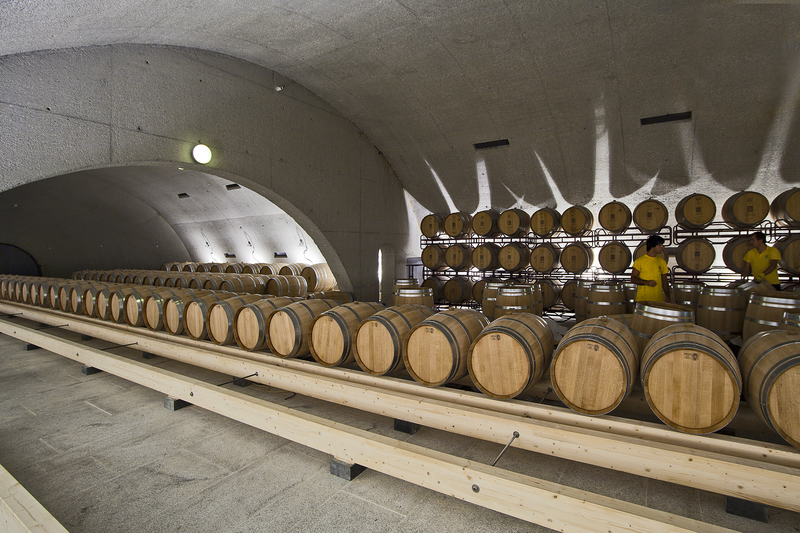 With the parallelepiped outer volume and vaulted interior space, the omission of non-resistant material in the wall enables the creation of an air chamber,simultaneously being a tunnel for facilities and a natural ventilation system that provides good thermal performance for the ageing of wine. 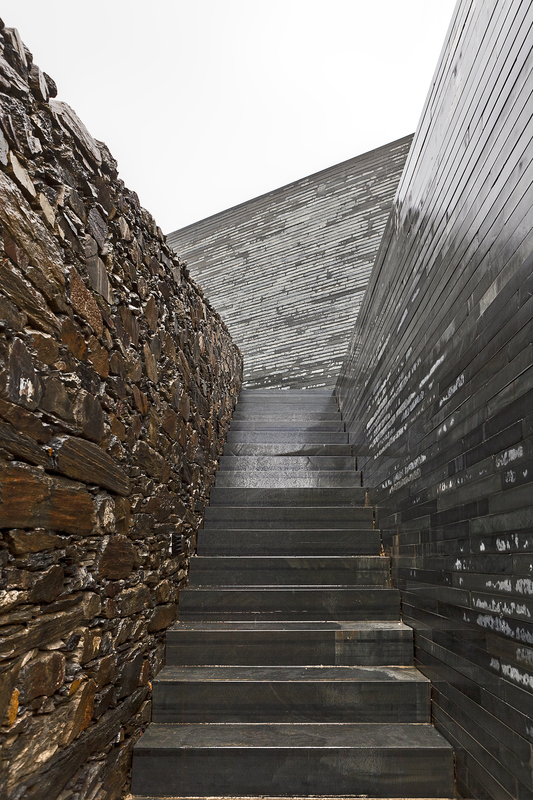 All the volumes are constructed in concrete with bush hammered finish on the interior, as the exterior is covered with slate that has been treated in a contemporary manner. 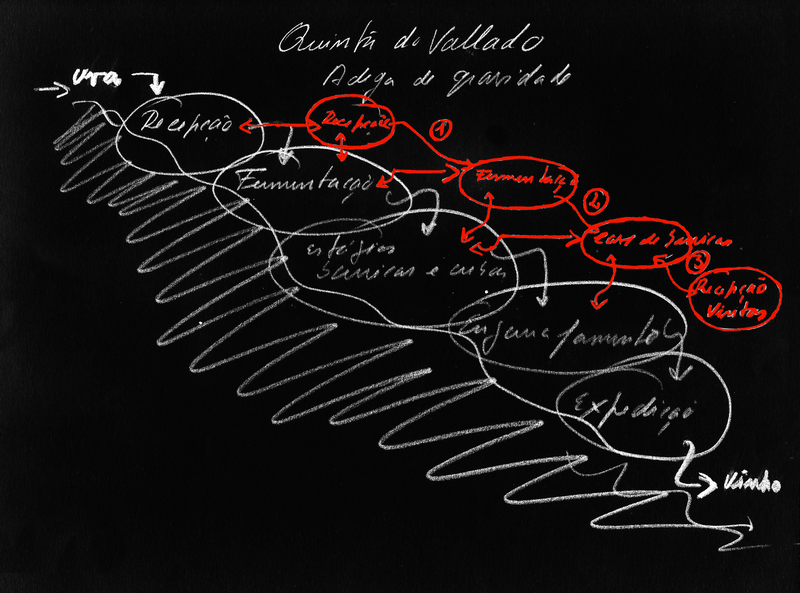 Raul Bessa – GET, Lda.